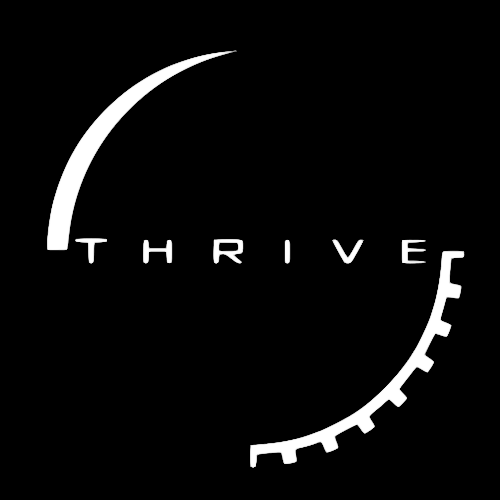 Industrial stage is the sixth of seven Thrive's gameplay stages, coming after the Society Stage with the invention of industrial machines. Technology and culture are much more advanced now, and civilization is largely reliant on machines to sustain itself. The whole planet is now mostly explored and populated, allowing you communicate or wage wars practically anywhere. Diplomatic and leadership skills are needed more than ever before. Technological advance is rapidly accelerating, with complicated machinery invented in tens of years unlike hundreds of years before. New powered vehicles, medical methods, industrial machines, but also new weapons, including those of mass destruction, are to be counted with. Even first satellite launches and tries to reach moons of the home planet are marking this stage. The Industrial stage ends with the invention of stellar travel, being followed by the Space Stage. The Industrial Stage will mostly revolve around population. Population will skyrocket. The economy will boom. Wars will get larger and bloodier. Consumption and pollution will rise. All of these will be results of the increase in the number of members of the player's species in the world. This will be brought about by advances in medicine, farming, sanitation, logistics, refrigeration, and transportation. These lead to the spike in the population, which in turn catalyzes the Industrial Revolution, which in effect engenders new military, scientific, economic, and political reforms. The Industrial Stage officially begins when the player’s nation discovers the Research Steam Power. Following this, Assembly Line vastly improves production and manufacturing, Railroads advances the rate of trade and transportation, and Agricultural Engineering progresses crop growth and output. New military Researches lead to a revolution in warfare. The Industrial Stage is highlighted with just that process, revolution. It leads to a revolution on all scales of society, and can with time come to drastically alter the competition between the rising nations. There is currently relatively little discussion on the Industrial Stage. However, some prominent threads on this topic are the Implementing Pollution thread, which analyzes the effect of the player on the environment, particularly in the Industrial Stage when it becomes pronounced. Another useful thread for this stage is the Crash Course Economics thread, which is always a good thread to link to. There is currently no Industrial Stage team lead.